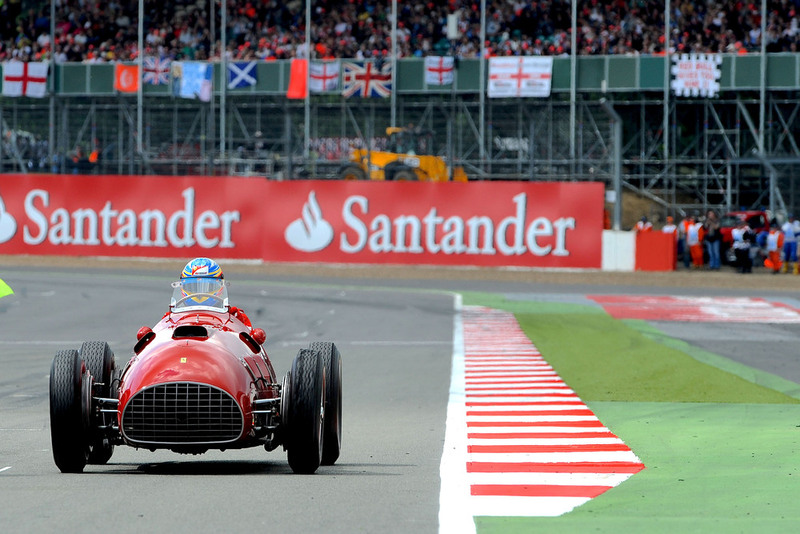 To celebrate sixty years on from José Froilan Gonzalez’s victory in the British Grand Prix, his 375 F1 car was back in action at Silverstone circuit. At 11.20 on July 10th 2011, the car that gave Scuderia Ferrari the first of its 215 wins to date in the Formula 1 World Championship, was on the grid for a photo-call and video shooting, along with Team Principal Stefano Domenicali and the drivers, Fernando Alonso and Felipe Massa. After that, Fernando got into the cockpit of the car, which is part of Bernie Ecclestone’s private collection, and did a lap of the track to celebrate this special anniversary for the most successful team in Formula 1.